“I have a Fine Arts Degree from Northern Michigan University and background as a professional graphic designer. Positions held have been as diverse as an artist at a tee-shirt screen printing shop to a computer graphic designer with the Xerox Corp. 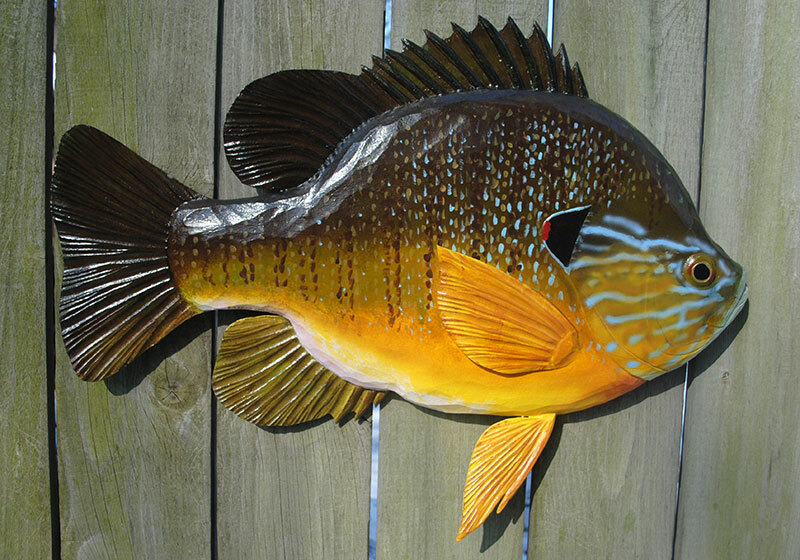 Using this background I established Sunfish Woodworks, which gives me the opportunity to pursue my passion for woodcarving and custom design. 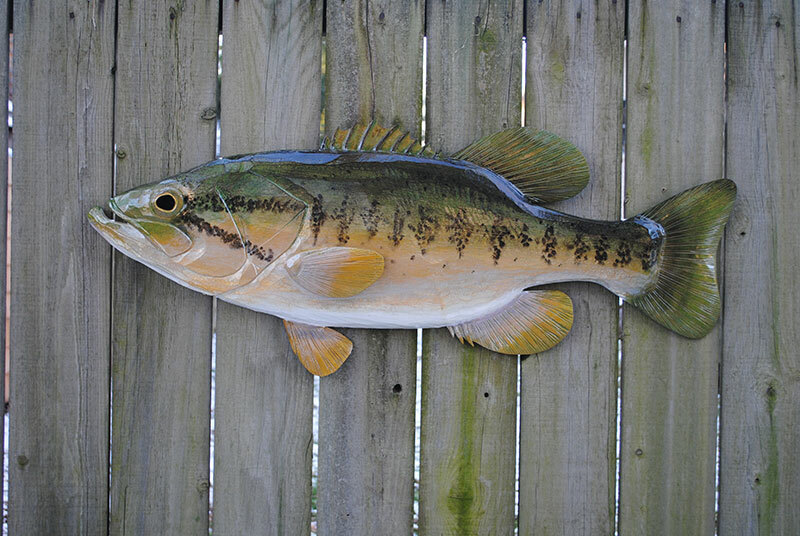 I specialize in fish carvings, custom carved signs, wood furniture, and wood-cut prints. 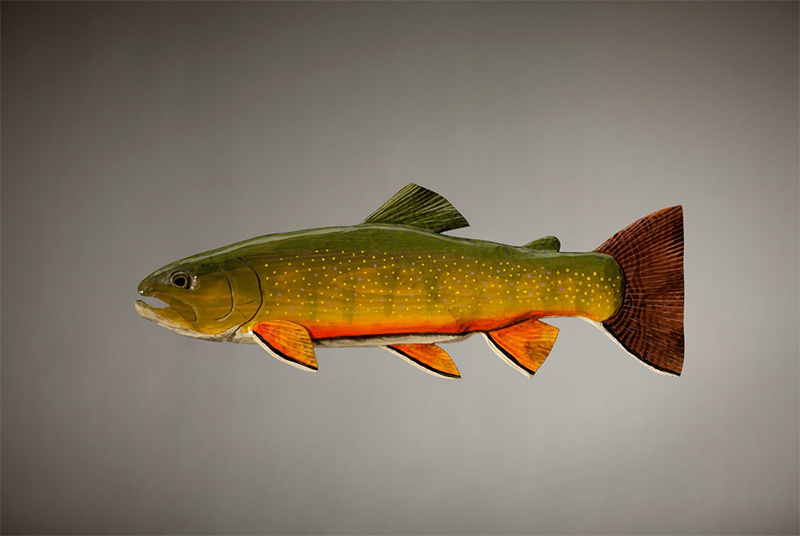 I am a lifetime fisherman who loves fly fishing for anything that swims. 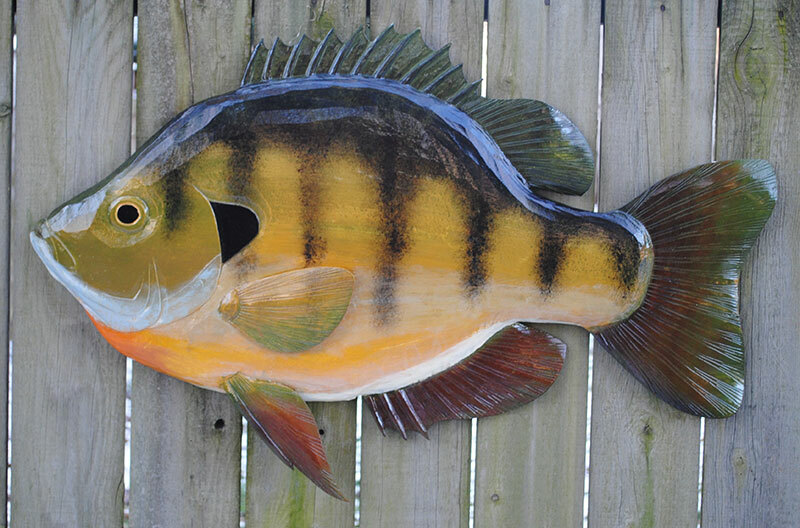 I started woodcarving in 1991 as a way to combine my love for fishing with my desire to carve. 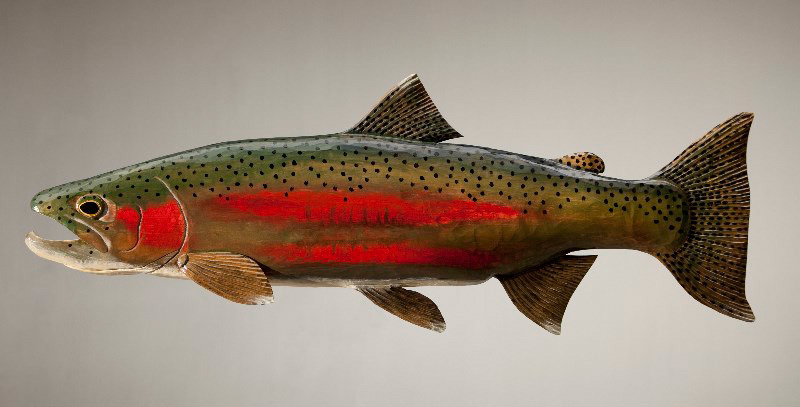 I can create lifelike painted carvings of fish in fine detail but prefer to express myself in a more relaxed and much larger style. 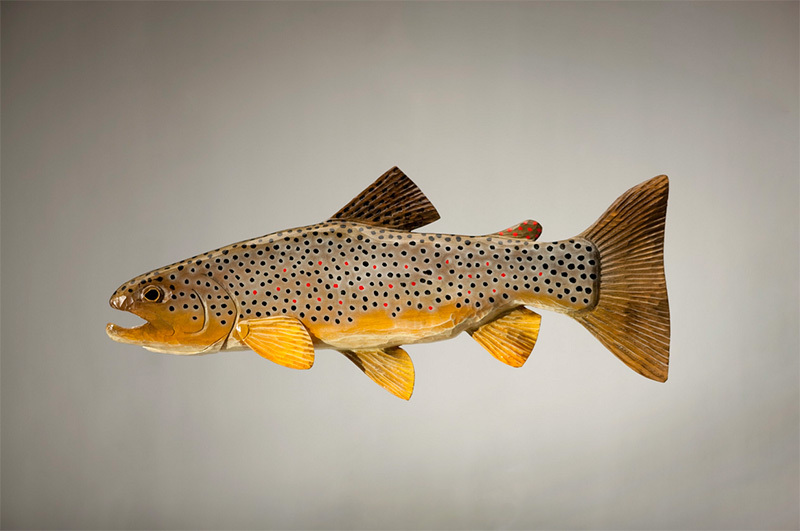 A traditionalist at heart, my carvings are created using only hand tools such as draw knives, spoke shaves, gouges and chisels. Tool marks are not sanded smooth because I like to see the facets and planes left behind by the tools. 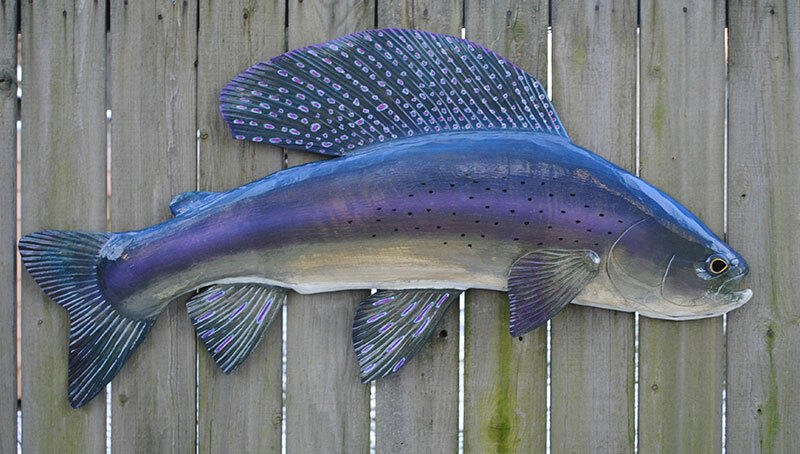 I want to show that this piece of art is indeed a one-of-a-kind, hand carved item. Paint is applied with both paint brushes and air brush. 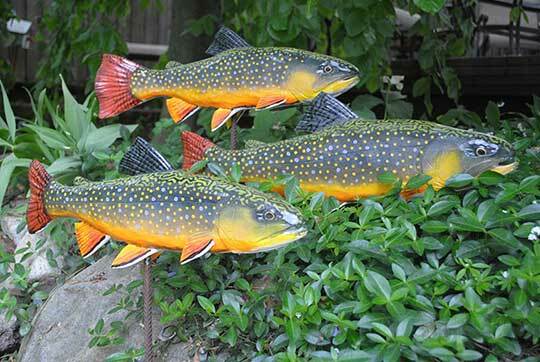 Working on a larger than life scale is exciting and the visual impact of a 5-foot trout or bluegill always brings a smile to people’s faces.